Compatible with Fire TV Stick (2nd Gen), Fire TV Stick 4K, Fire TV Cube, and Amazon Fire TV (3rd Gen, Pendant Design). 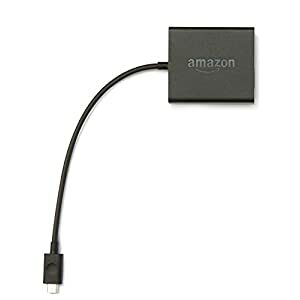 Not compatible with Amazon Fire TV (1st and 2nd Gen), Fire TV Stick (1st Gen), or Amazon Fire TV Edition smart TVs. Now with power, volume, and mute buttons that let you control your TV, sound bar, and A/V receiver. MADE FOR AMAZON: Designed and tested as part of the Made for Amazon program. 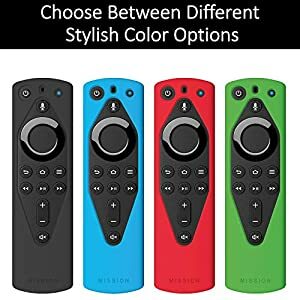 MAXIMUM PROTECTION: Light weight silicone case protects against accidental drops and adds grip to the remote. OPTIMAL GRIP: Soft, ergonomic design that feels great to the touch. Case design maintains the shape and feel of the Amazon Fire TV Alexa Remote.